Do you have any questions about Windows 7? 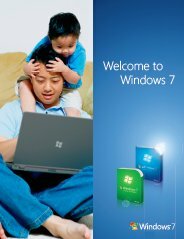 Welcome to our Windows 7 Questions and Answers page. Here, you get the chance to ask any question you like about Windows 7 and hopefully get them answered by other visitors just like you. Using the form below, fill out your windows 7 questions in detail and feel free to add a picture if you wish. Do you have a question about windows 7? Write it! I need to sync my mobile with my laptop, but not able to do so. What is the software in comparison with Active Sync. How can i create diskpart /s file to create a logical disk? How can I find and recover product key of windows 7 in my Notebook PC? I have pre-installed windows 7 home premium edition on my laptop. How do I repair the OS if my OS gets corrupted? Question: Which is good for my laptop.... Window 7 Home Premium or Window 7 Professional? We have four windows 7 machine,but when i run crystal report 7 from vb it shows an error "can't find database dll".pls advise where it is problem. My windows 7 home basic switch to classic mode from windows basic mode on each shut down or restart.